Take guesswork out of developing products and services customers will love. 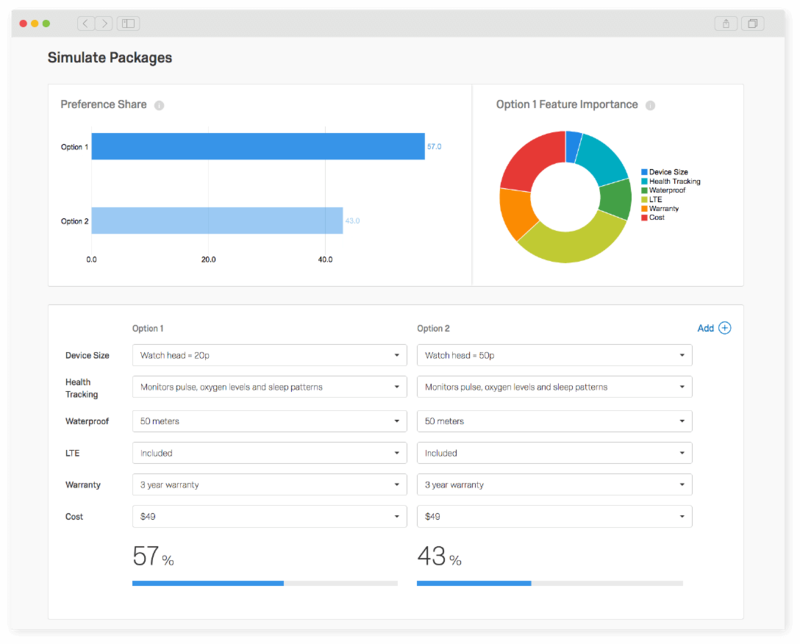 Whether you’re launching a new product or designing an employee benefits package, product optimisation–powered by conjoint analysis automatically configures the product and price that will have the biggest impact on your business. What used to take weeks of work and years of experience is now finished in minutes–no advanced research degree required. In four simple steps configure your study, review and field your survey and analyse the results in real time. Optimisation automatically shows you the perfect product or service configuration at the right price. Automatically see the optimal product configuration and price sensitivity with the intuitive simulator. 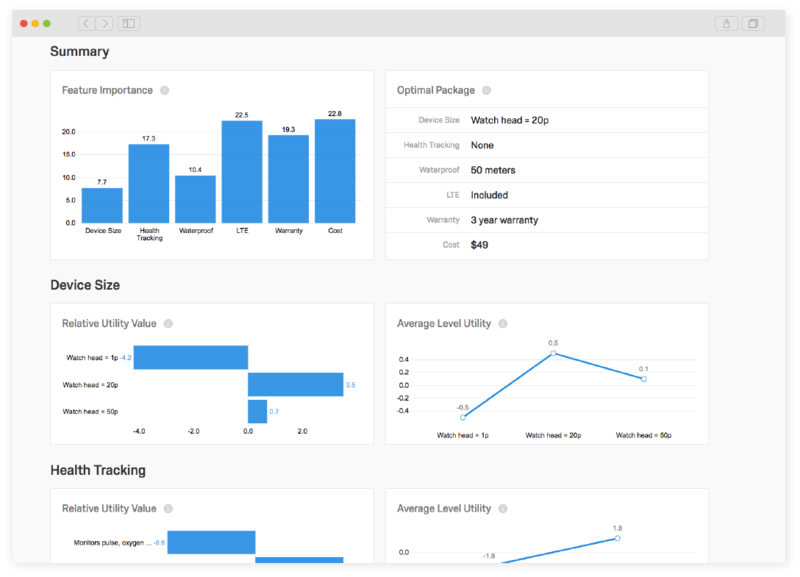 You can customise and compare different product configurations, benchmark against competitors’ products, and determine sensitivity to price and feature changes. 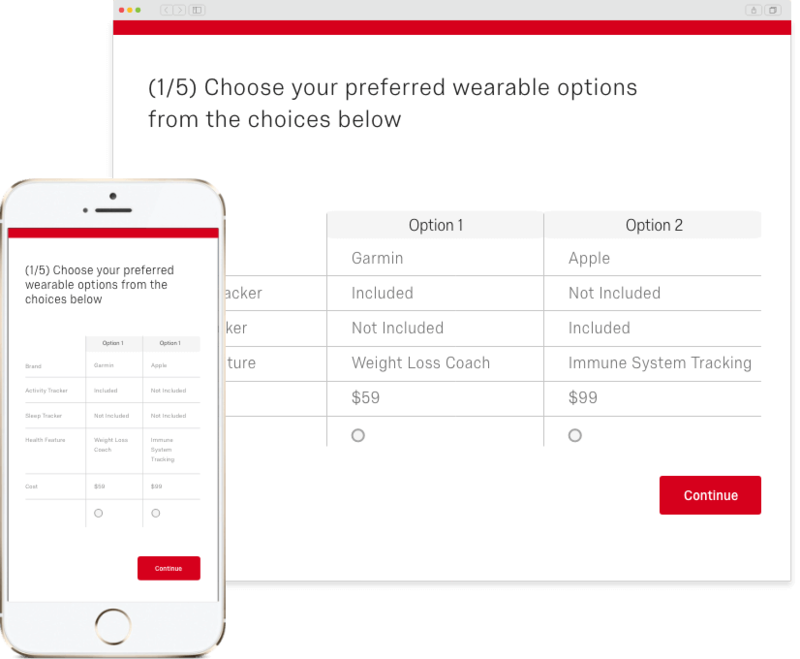 You can even use the Qualtrics custom segmentation tool to zoom into specific segment attitudes towards different product configurations. 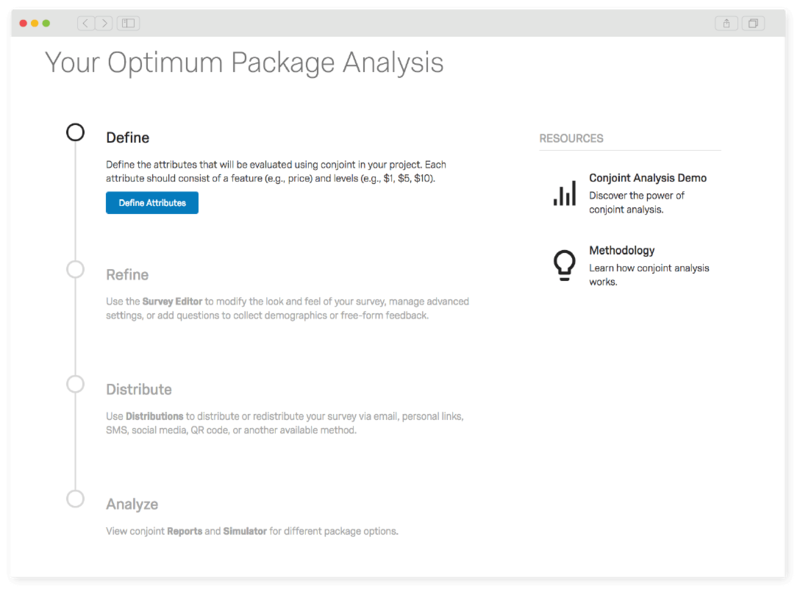 With Optimisation, it’s all done for you–say goodbye to learning how to add attributes, feature sets, prohibited pairs, and manually calculating complicated hierarchical Bayesian estimation for utility scores. Our step-by-step guide makes it easy to add product features and launch a conjoint project in just minutes. And with all the complex stats automatically run in the background to produce the perfect product configuration and price for you, you’ll be building better products in no time. What is a Conjoint analysis? Conjoint analysis is a popular market research approach for measuring the value that consumers place on individual and packages of features of a product. The conjoint analysis approach combines real-life scenarios and statistical techniques with the modelling of actual market decisions. Conjoint analysis is commonly used in product testing and employee benefits packages. 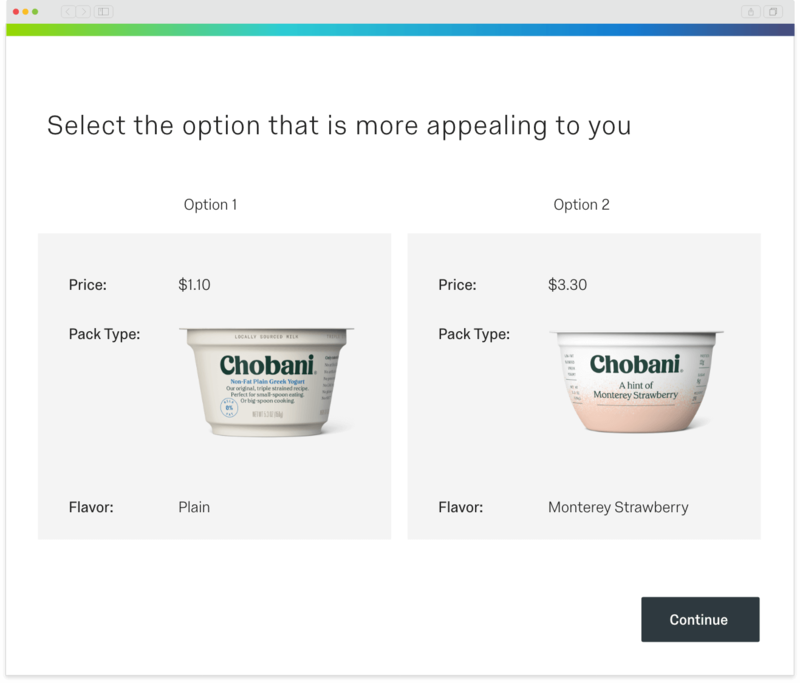 Conjoint surveys will show respondents a series of packages where feature variables are different to better understand which features drive purchase decisions.